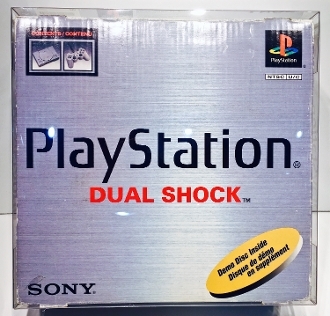 Our Products >> #17 PS1 Console Box Protector (1 Protector) Read Description! These fit the PS1 boxes that are roughly 12 15/16 x 12 9/16 x 4 7/16 or 33 x 32 x 11.3 cm. Please check your size before ordering! Most of these are the same but there could be some that don't fit. These will be very expensive for you to return so always good to check first. #17 PS1 Console Box Protector (1 Protector) Read Description!